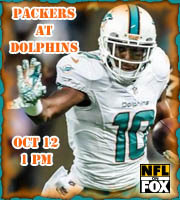 We hope that you will join us 1 pm Sunday (come sooner if you would like) for the Dolphins/Packers game. 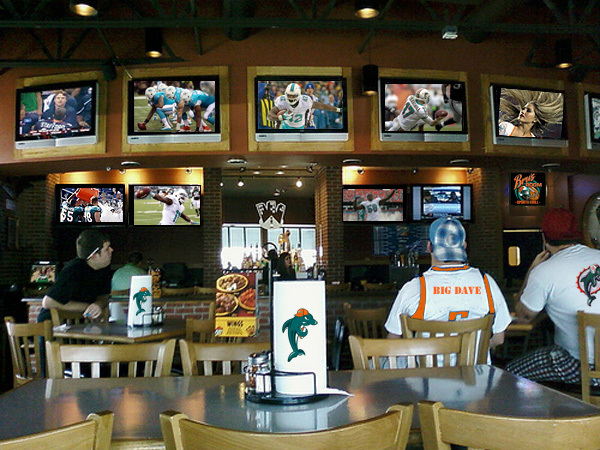 The Phinfever Sports Bar (chat room) is embedded in our forum, so, you will have to be logged into our forum before you can access the chat room. From what I understand, Firefox works best with our Flash software. I use Google Chrome for the chat. As usual, I can't get in the chat room. Anyway, I agree with the announcer that Tannehill should have seen the box stacked and checked out of it. You have got to come away with points there. Tone, you need to create a new login to access the chat. That is what Rich does. Chat was acting weird today but as always ,so much fun. It was a good game and a fun chat, but if you didn't use offensive language such as "circumstance"
the chat wouldn't be weird.